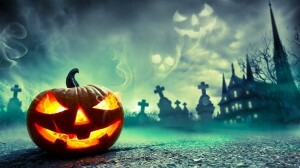 Another reason for fun marketing- Halloween is lurking in the near future. Small businesses or big box retailers are filling their spaces with candy corn, skeletons, and cobwebs, attempting to spook you into the mood. Halloween happens to be one of the biggest money makers for retailers as nearly 175 million Americans plan to participate in festivities spending close to $9 billion dollars this year, according to our friends at the National Retail Federations. So, in essence, if your business isn’t partaking in a head-turning Halloween marketing campaign, you’re missing out. Here are a few campaigns used by big-name brands that have left us shakin in our boots over the last few years. Last year, Burger King gave away free Whoppers to the first 500 customers who came dressed up as clowns at locations in Austin, Boston, LA, Salt Lake City & Miami. The spooky ad showcases a teenage boy riding his bike through a dark and eerie neighborhood with creep clowns lining the street, following him to his destination. He eventually encounters a lit up Burger King where he makes his escape. That Whopper will taste even better. Watch the clip here! Back in 2013, Booking.com’s Halloween campaign made travel plans to a spooky location even spookier with this ad. Looking to stay at a haunted location across the world got a lot easier with the haunted destination finder on their website. With just a few clicks you could be staying at a place where there were more tricks than treats (if you dare). Watch the clip here! If you’re a fan of The Shining, you’re going to especially like this one from 2015. Remember that creepy hallway scene at the hotel in the Halloween classic? Now it may be more relatable as the little boy rides his tricycle through IKEA. Of course, numerous IKEA products are scattered throughout the video for us to catch. Instead of the 2 girls saying, “come play with us Danny” at the end of the hallway, it’s his parents telling him, “come pay with us Danny”. A parody well done, IKEA. Watch the clip here!